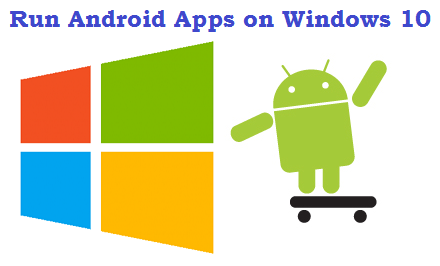 Today’s topic is about syncios which allows you to transfer music, videos, pictures, podcasts, ringtones from Windows to iPhone and iPhone to Windows PC. Compatible iDevices with syncios are iPhone 4, 4s, 5, 5s, 5c, iPad mini and iPad 4. 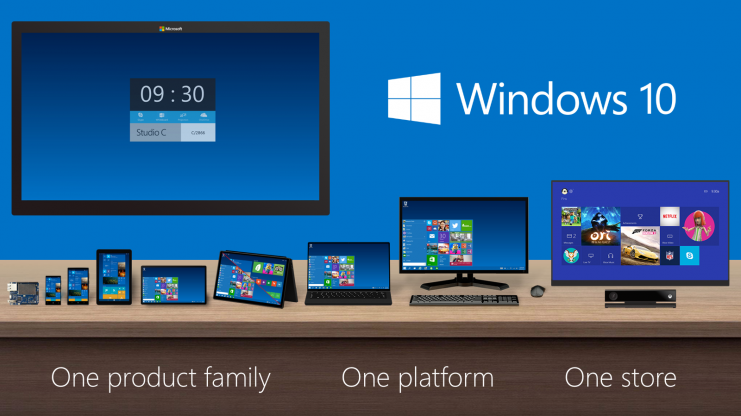 And compatible Windows versions are Windows 8.1, 8, 7, vista and XP. Syncios can also perform some tremendous tasks, which are explained below. It’s our daily routine to capture videos, pictures and downloading songs to send them to your PC and share them on social media sites. Almost every phone available in the market has PC suite software to send and receive files between PC and phone. But the iPhone has an iTunes software to transfer data. It’s not possible to send and receive many essential files via iTunes, so I have found an excellent software named syncios to migrate data from iPhone to Windows PC or PC to iPhone. 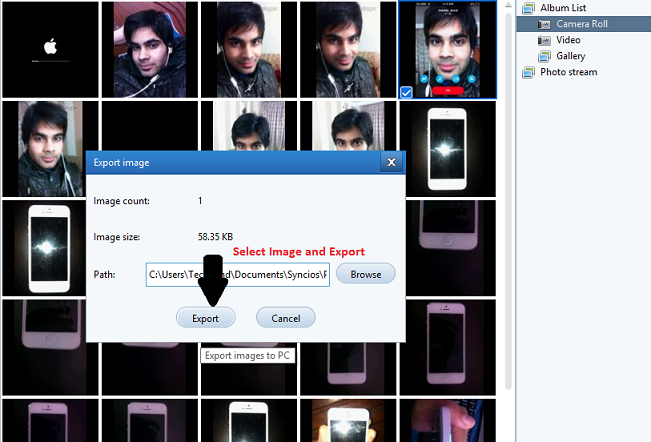 The primary function of syncios is migration of pictures and videos to iPhone from Windows and vice versa. You are only required to press import and export buttons to transfer files. 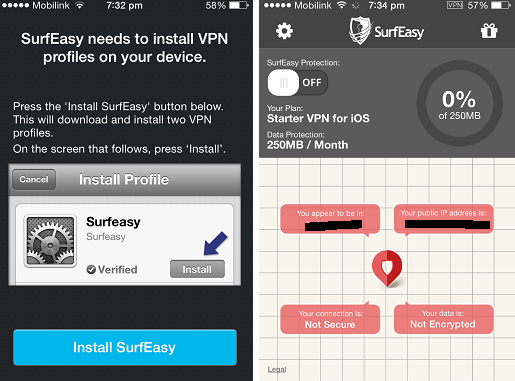 The media section of this tool contains many options that are compatible with the iPhone and iPad too. Simply go to the media section of syncios and transfer Ringtones, Podcasts, Tv shows, Audiobooks, Music Videos, Voice Memos in just 2 clicks. You can install or uninstall any app from your iPhone using syncios. 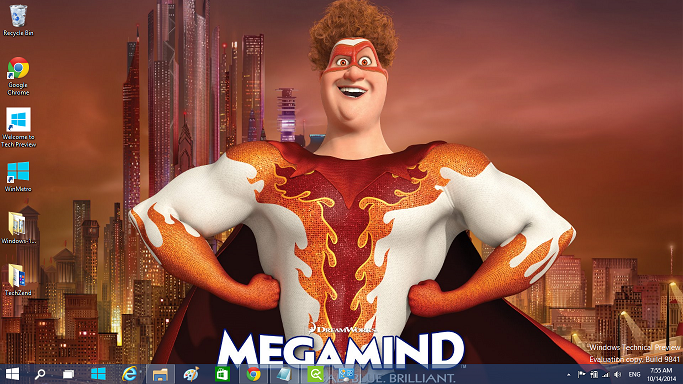 You can get the app file directly to your PC and install it by selecting it. 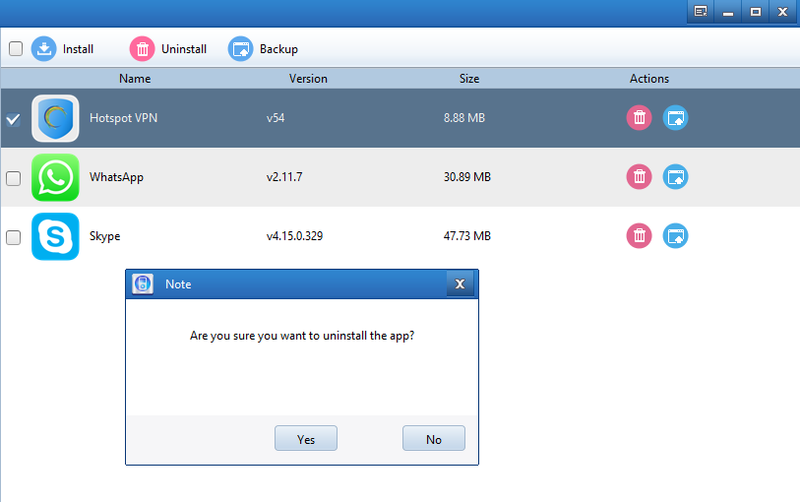 Also removal of any app is easy with syncios. 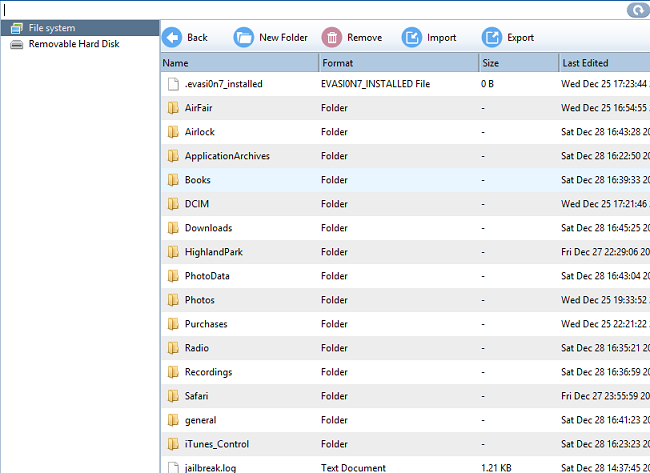 In this section of the file system, you can see all files available on your device. For example if your iPhone is jailbroken then you can also see jailbreak data here and other files which are purely related to your system. Note: Please do not remove any of these files, if you don’t have any experience regarding these all. In case of any loss of hardware and software, we are not responsible. 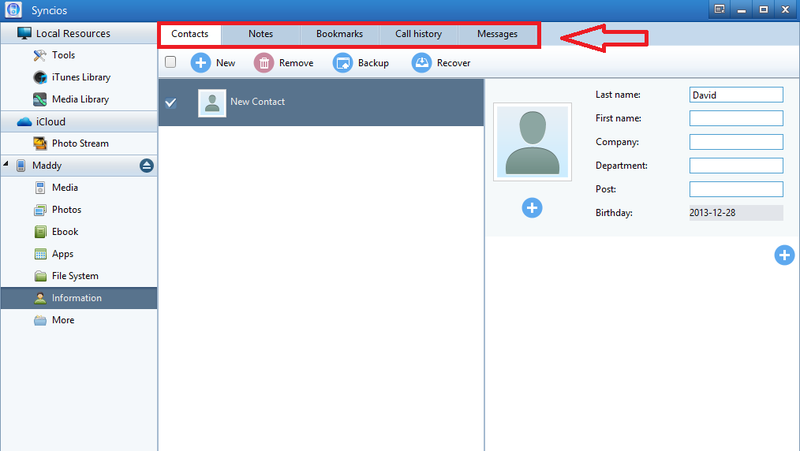 This feature is really excellent, you can add or remove your desired contacts by using this section. 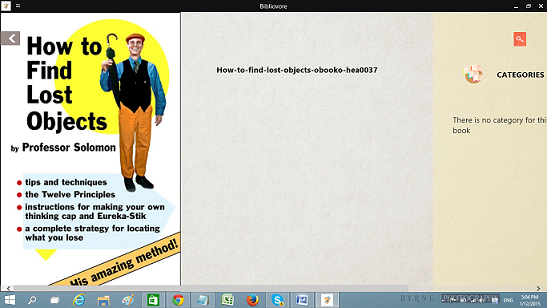 Also history of calls, text messages, bookmarks and notes can also be checked here in detail. 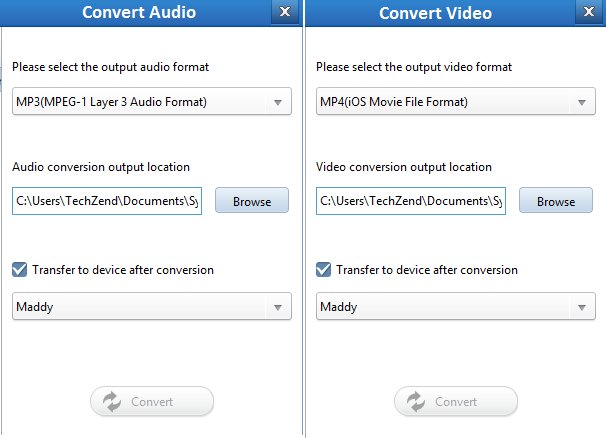 You can convert your audio and video files available on your PC in iOS compatible formats. For videos, there are formats including MP4, M4V and MOV and these are compatible with all iDevices. 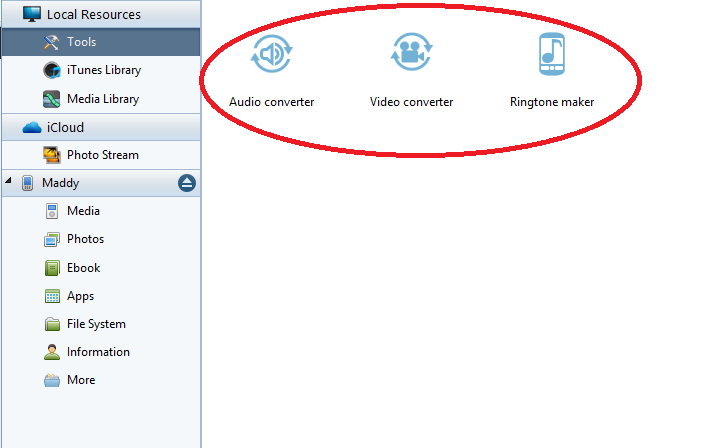 And audio conversions contains MP3, M4A, M4R and CAF formats for iOS devices. At last, there are some basic features which are not so important, but in some situations they can be helpful. 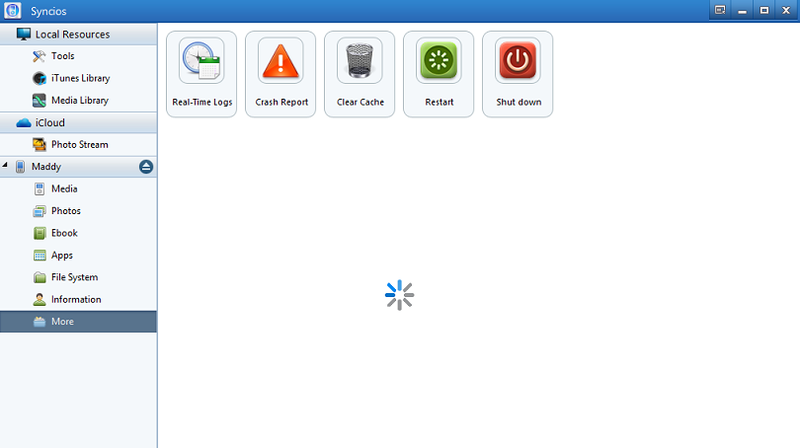 These features include real-time logs, clear cache, crash reports, restart and shutdown iPhone. If your power button on the iPhone is not working, you can restart or shutdown it using syncios. Also real-time logs feature will show you complete details of processes running on your iPhone’s background.